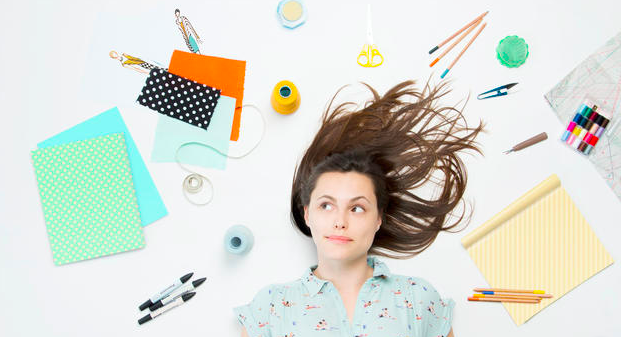 If everything inside of you wants to create an Excel spreadsheet that separates her needs, wants, and splurges – you, my friend, are a left-brained shopper. Get excited! This personality-type wrote the book on shopping wins. Left-brains don’t settle, they find phenomenal deals, and have zero buyer’s remorse because they’ve planned ahead. 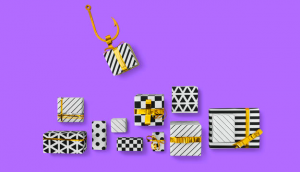 Whether you’re on the hunt for a thoughtful gift or searching for seasonal staples, you’ll be wildly successful if you go with your gut. 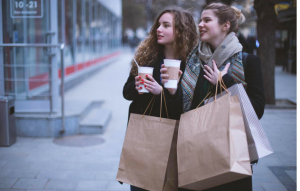 Here are five strategies for left-brained shoppers – some beginner, some advanced – to help you embrace those impulses (or channel your inner lefty) and take the shopping world by storm. When you look at your closet from a seasonal standpoint, all kinds of opportunities pop up. Pssst…that swimsuit you’ll need this summer might be sixty percent off this winter. From one lefty to another, here’s a little system to help you take inventory of what you have. Create a Sheet in Google Drive. *I use Google Drive, but it can work in just about anything: Excel, Trello, or pen and paper. Make four tabs (at the bottom). List each tab as a season. 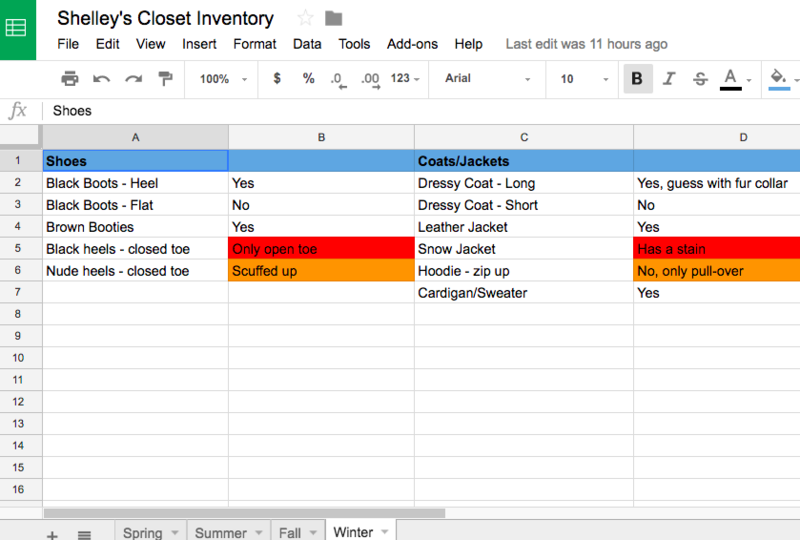 List your seasonal staples (boots, blazer, shorts) and give each item its own cell. Note beside it, in a separate cell, whether you have that item or not. It’s that simple. Have a ball color-coding and playing around with fonts and colors. The whole point of this is to always know what you need and what you don’t. If a winter staple for your wardrobe is black leather boots and your current ones are falling apart, you’ll know to hunt for them all year long. As left-brained as you may be, we can all fall prey to the endless options, deals, and ads competing for our attention. Then, before we know it, there’s an “I need black slacks but this gorgeous clutch is on sale” situation. Not today. Have a list and check it twice. When you’re on a mission to find particular items, stay in the zone by setting a timer. Tell yourself you will focus on finding this one item for the next ten or twenty minutes. The Be Focused App (or any timer on your phone) is free and super helpful in these situations. You’ll stay focused and take comfort in knowing that any shiny object calling your name can be explored after the timer goes off (we are human, after all). Macy’s infamous sales pop up year round. Take note of attractive specials and set reminders to alert you the same time next year. A little overboard? Not really. Thirty seconds could find your future self some bargains. Subscribe to Macy’s.com and make sure you’re all set up to receive updates on the latest sales. Go to My Account, select Preferences, then Notifications to make your selections. Are you a Google user? You can also set up Google Alerts for specific Macy’s products you’re hunting for. I truly believe that a little fairy gets her wings every time we find our boss the perfect Christmas gift in June. 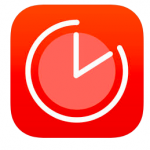 The reminders you’ll create will let you know what gifts to find in advance – like way in advance. Then, while you’re searching for other things… POW! The perfect gift can jump right out at you because your antennas are up. Epic gifts are discovered this way. Create birthday reminders so you’re never scrambling for last minute gifts. Use phone reminders or free services like birthday-reminders.com that go straight to your inbox. Set alerts early, like three-six months early, so the pot can start brewin’. Every personality type has positive attributes, so why not borrow from the other side of your brain? There’s value in stepping into someone else’s Nike Air’s and you can have a lot of fun doing it. Because don’t we all deserve a little right-brain fun every once in a while?